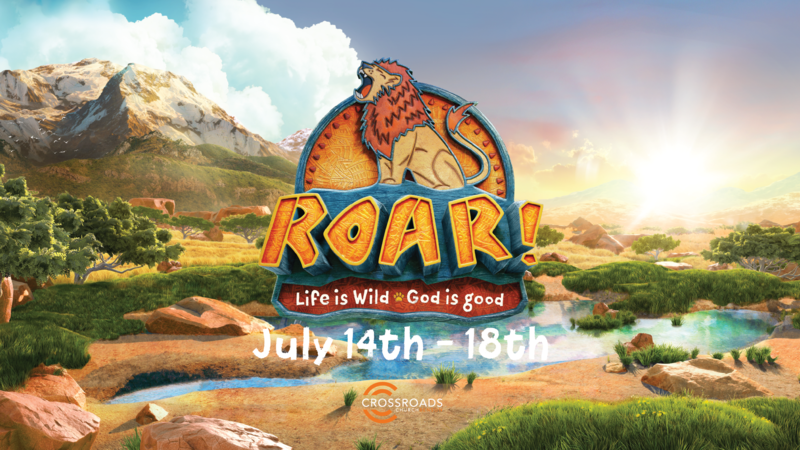 We’re having our very first VBS at Crossroads this Summer: ROAR! This epic African adventure engages the whole herd! At Roar, kids explore God’s goodness and celebrate a ferocious faith that powers them through this wild life. This is for Preschool (3 years old – rising kindergarten) & Elementary (rising 1st grade – rising 4th grade). It takes a big team to put a VBS together and we know God will use YOU with the gifts He’s given you to bless others. If you’d like to be apart and volunteer for the different areas that week, click the link below.